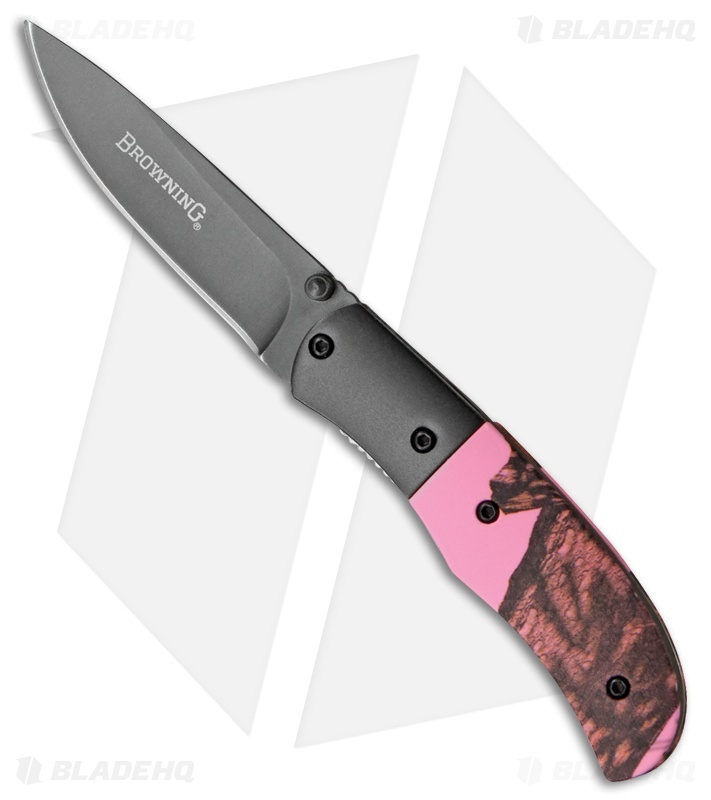 The Browning Duchess is a manual folding knife for all you ladies looking for a great everyday carry. Sandvik 12C27 stainless steel, drop point blade has a gray finish and a thumb stud opener. Polymer handle with pink Mossy Oak Dura-Touch Armor coating and a black finish stainless steel bolster. Comes with black finish stainless steel pocket clip.